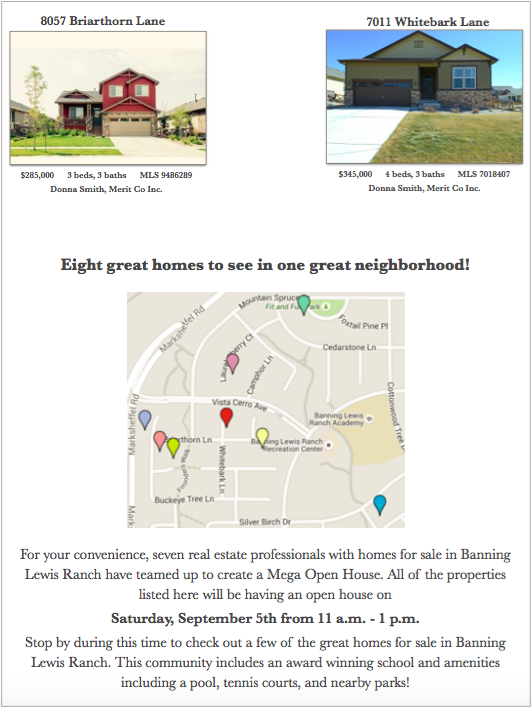 MEGA OPEN HOUSE in Banning Lewis Ranch! Saturday, September 5th from 11 a.m.- 1p.m., our team is hosting a MEGA OPEN HOUSE in Banning Lewis Ranch. Our listing 7638 Buckeye Tree Lane is being featured along with seven other homes. For your convince, you can stop by and tour any of these homes during this time. This community includes an award winning school and so many great amenities (pool, tennis courts, and parks). 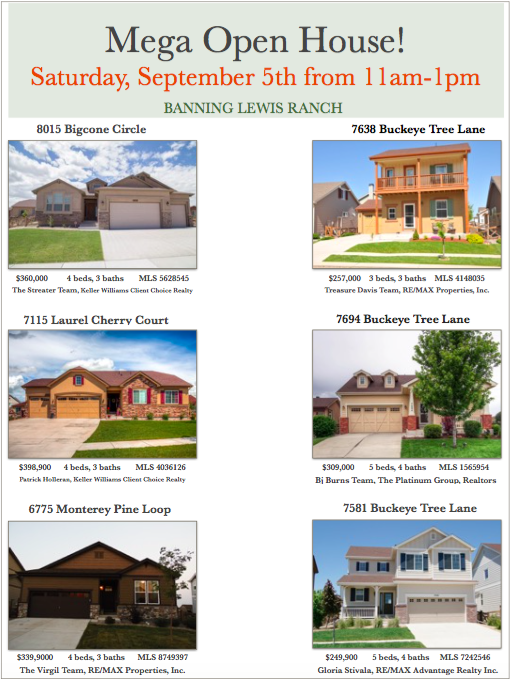 Banning Lewis Ranch is a great community and has so many great homes! We hope you stop by and check it out!! If you have any questions, feel free to call us at (719)268-4116 or visit TreasureDavis.com.